The first ingredient in Plaine Product’s vegan shampoo, conditioner, body wash and lotion is aloe. Ingredients are listed by weight, so the first items on the list make up the bulk of the product. There’s a number of ingredients most mainstream shampoos, conditioners, washes and lotions have that ours doesn’t. Check your labels, if they have chemicals with long complicated names you might want to read on. The potential dangers in our bathrooms was news to us. We decide to share our research with you in order to save you some time. A warning though, some of it is a little disturbing. 1. Sulfates, either sodium lauryl sulfate (SLS) or sodium laureth sulfate (SLES). Both of these are used to make products lather. The bubbles are supposed to make you feel like cleaning is happening. There’s some disagreement on how toxic these chemicals are. Best case: Both are detergents, are tough on your hair, and can irritate eyes and skin. SLS is also hazardous to any aquatic life that it may meet after it washes down your drain. Worst case: Both have been linked to health concerns, although the case for SLES being dangerous is stronger. It has been linked not only to cancer, but also liver damage. Good news: There are other, gentler, more natural alternatives to sulfates. 2. Parabens are chemicals used as preservatives for their antibacterial and antifungal properties. Worst case: They have been found in low concentrations in tumors and are believed to disrupt hormone function. Parabens mimic estrogen by binding to estrogen receptors on cells. This effect has been linked to both the development of breast cancer and the early onset of puberty in girls. Good news: They aren’t necessary unless you need your bottle of shampoo and conditioner to last for decades. 3. Synthetic Fragrance. Seeing ‘fragrance’ listed on a label is often misleading. The average fragrance product tested by the Environmental Working Group (EWG) was a cocktail of 14 secret chemicals. These ingredients don’t have to be disclosed because they are considered trade secrets. So the truth is no one knows what “fragrance” means or what effects its ingredients could be having. But you can bet if the ingredients were natural they would be listing them. Good news: Essential oils can be used to make products smell yummy. 4. Phthalates are plasticizers and are often used to make the fragrance in shampoos and other cosmetic products linger. They are banned from personal products in Europe and Canada as potential carcinogens. Phthalates are strongly linked to endocrine disruption, early puberty in girls, and increased asthma in children. They are bad news. Good news: Not necessary ingredients. 5. PEGs (polyethylene glycol) are used in cosmetics as emollients, to soften the skin, and emulsifiers, which facilitate the mixing of oil- and water-based ingredients. Best Case: PEGs can reduce the skin’s moisture levels, drying out your skin and accelerating aging. They are especially tough on broken skin. Worst case: The Environmental Working group says polymer derivatives have been linked to cancer, reproduction and fertility, birth or developmental defects and that they could be toxic to organs. California has classified polyethylene glycol as a developmental toxicant that may interfere with human development. PEG has shown evidence of genotoxicity, and it can cause irritation and systemic toxicity if used on broken skin. Don’t take our word for it. Look up the ingredients in your shampoo. You’ll probably be surprised. We were when we read more about the chemicals that we were putting on our bodies everyday. The main ingredient in our organic shampoo, conditioner, body wash and lotion is aloe. Its key benefits include antioxidants like beta carotene, Vitamin C and E which all can aid in reducing the appearance of damaged skin. Aloe also contains more than 75 nutrients, including minerals and essential amino acids. These provide hydration to the skin to promote a healthy and refreshed complexion. As you read down the list of our ingredients you’ll notice that they are all natural. We have a commitment to our customers and our environment. 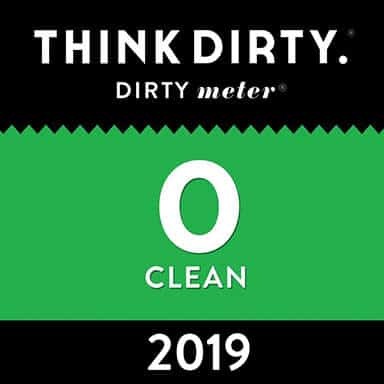 Because of this, our products are not only chemical free, they are are also biodegradable, which means the break down safely once they go down the drain. 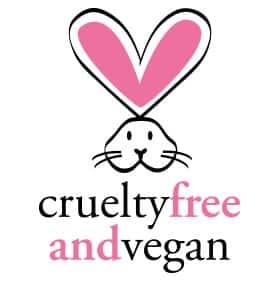 They are also cruelty free, which means they aren’t tested on animals. We’ll feature other ingredients in another blog post, but know that we are working for you! Thank you for your continued support. This entry was posted in Blog, Our Products. Bookmark the permalink.